Judit Nyiri is 44, she attended the Peto Institute in her first years, walked, then attended a local school. Judit started working with fabrics as a child. She began with Macramé, then went on to table cloths and thread-drawing. Her grandmother suggested Gobelin cross-stitch technique, and Judit has drawn enormous joy and satisfaction from working this way. 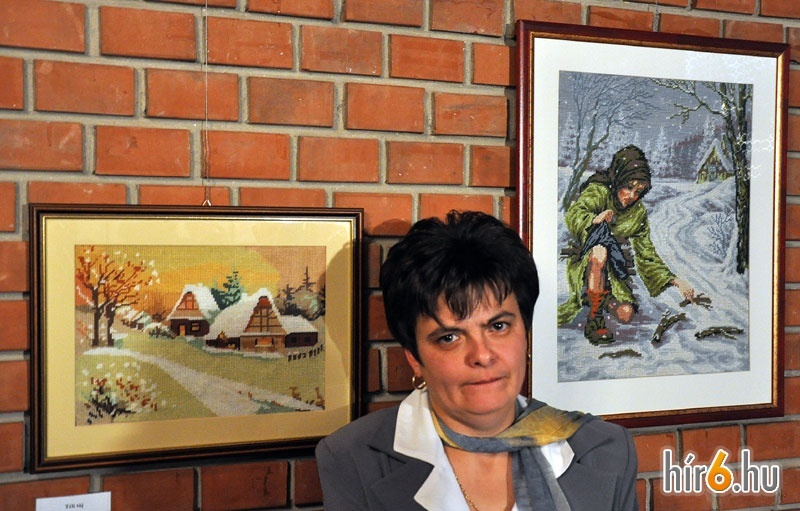 This week she has an exhibition of some of her Gobelin pictures, at the Lencsási Community House in Békéscsaba, in South East Hungary.